Mature wines of high quality with good provenance are sought after. Before a sale of wine, the knowledge of where and how the bottles were stored is important and sought after information for the so-called market. Nobody wants to convey noble but poorly stored and thus spoiled bottles - and nobody wants to buy them. The market sheds the slightest uncertainty and pays lower prices for bottles with doubtful storage history, but becomes happier and pays more for the wine when it is known that it was stored well. 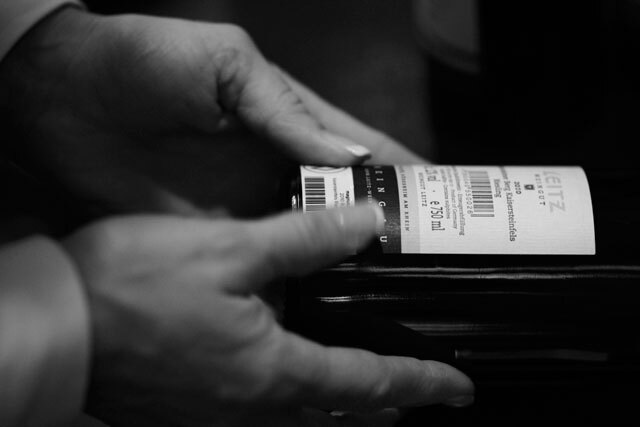 Use the ID number on the bottle or case to see how long it was stored at MFW! Full history is displayed for ID numbers deregistered after March 1, 2017 (for ID numbers withdrawn before March 1, 2017 there will be a start date but no end date). MFW accepts no responsibility for the quality or content of the identified identities, MFW only shows under what conditions and period the bottle(s)/cases(s) were stored at MFW. Keep in mind that the bottle often has a history before and after this period of time.